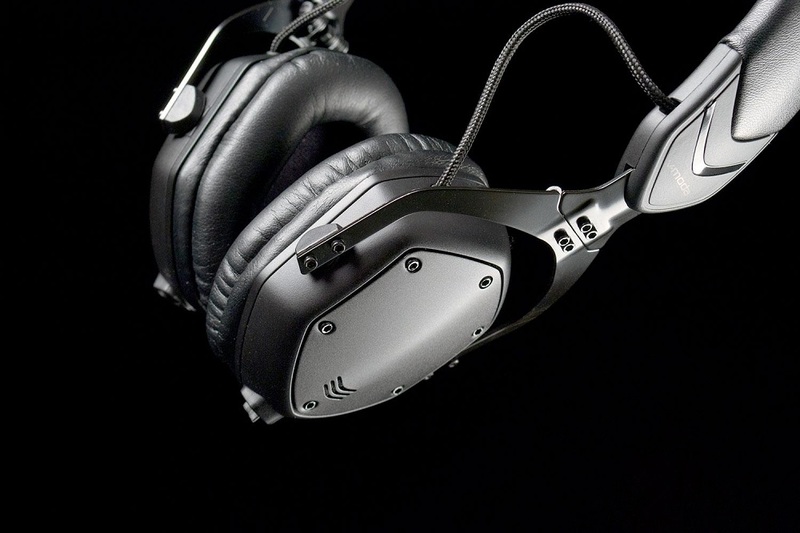 The V-Moda XS on-ear headphones are one of the latest editions to V-Moda’s relatively small product line. While they are not known for being studio quality or “high-end” in that way, I have always associated V-Moda with good sound quality and great design, two things that fit the XS headphones as well. When it comes to design, metal and plastic are basically all that you will find on these headphones and metal is what really makes them stand out. Despite packing a lot of audio equipment inside, the headphones are surprisingly light and airy which means that they can be used for long periods of time without ending up with either a headache or a sore head. On-ear headphones are not usually my cup of tea but in this instance, the XS headphones are actually quite comfortable and far more durable than the average pair of headphones. With these traits, there is almost nothing I can find wrong with the V-Moda XS. Style is a big part of these headphones and every aspect of them seems to be meticulously designed in order to look as good as possible. That sort of attention to detail can be seen even with the XS’ orange cable, which is not only the perfect length but also looks great with all-black headphones. Speaking of the cable, there is only one button on it (unlike some cables that have three) but it does work for controlling music and answering calls. Plus, it is compatible with all major mobile operating systems. As great as the design and style may be with the XS there are some downsides and those downsides appear primarily in sound quality. There is no overpowering bass–something that is good in my opinion–and overall, the sound signature is very basic and nothing sounds out of the ordinary. However, that changes once you begin to turn up the volume. At higher volumes, sound distortion is almost always going to be present but with the XS headphones, it can be a little bit much. Granted, since these are headphones are not speakers, if you are using them in a normal listening range, there is almost no issue with distortion. The V-Moda XS are great when it comes to design and style, so for people who want to look good and have a pair of headphones that deliver solid sound performance, then these are worth looking at. The only time that I would personally not recommend these are for people who listen to bass-heavy music or love to turn up the volume, as in both scenarios, the XS’ downsides are present too much.